Commercial Office Furniture – Account Manager – D.C. Position creates contract furniture sales opportunities through prospecting and growing existing accounts. Manages and maintains accounts in profitable manner. Reporting: This position is an exempt position and reports to the Director of Sales. Maintenance of a presentable, clean and orderly work station. Prompt submittal of call and expense records when appropriate. Maintenance of cooperative relations with all internal departments and co-workers. Continuing education of sales techniques. Attendance at all sales, product, and training meetings as prescribed by the Company. 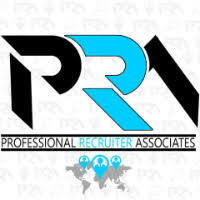 For immediate consideration, please forward a copy of your current resume to info@profrecruiters.com referencing job #1563 or a link to this job.